Today we released a number of updates to Anveo Cloud Communications Platform which are part of a continuing strategy to strengthen our technology and to enhance Anveo's business oriented offerings. As more businesses are moving to Salesforce.com there is a growing demand for Salesforce CTI integration. We are pleased to announce that Anveo Cloud Communications Platform is now integrated with Salesforce.com. 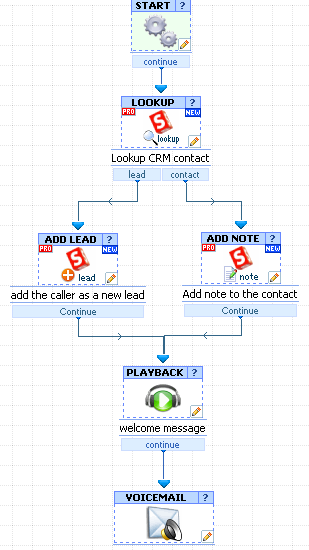 Anveo IVR Call Flow was also updated to include a new set of call controls designed to work with Salesforce.com. 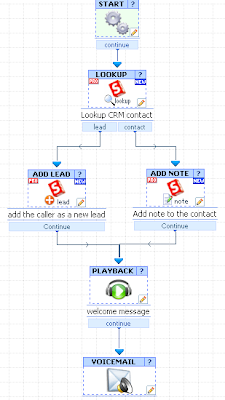 IVR Call Flow can now interact with Salesforce and lookup caller details (first name, last name, address etc), can provide different call handling and routing for CRM contacts vs new callers, capture Leads and add Notes to CRM contacts.